Custom 5" Snack Candy Packs are quality attention seekers! 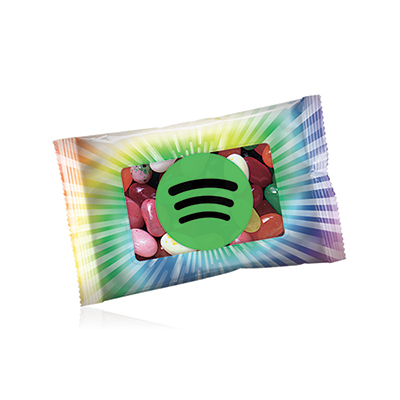 The custom Z5" Snack Candy Packs will highlight your brand like never before! These bags are high quality giveaways! The vast imprint area will boost your brand’s visibility and enhance the coverage your brand gets from clients! 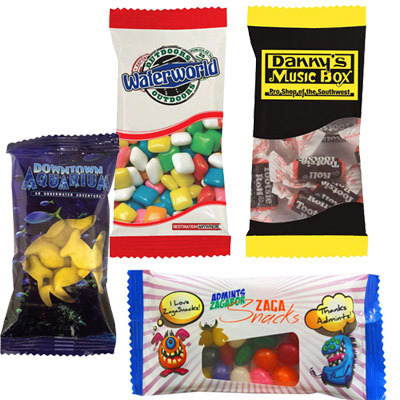 With mouth-watering goodies such as Signature Peppermints, Jelly Beans, Red Hots, Gums, Spearmints, Goldfish, Hershey Kisses and Gumballs, these bags will ensure your recipients have enough variety to choose from. 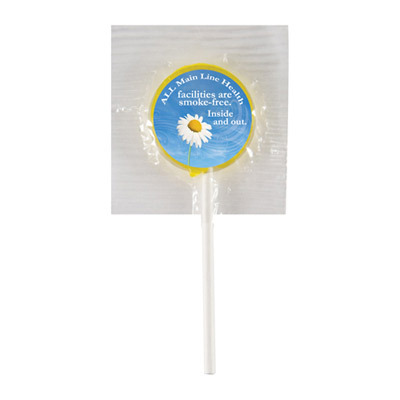 Each flavor will take you a step closer to your recipients’ minds, making your brand remembered for a long time! Don’t waste any more time! Order now! 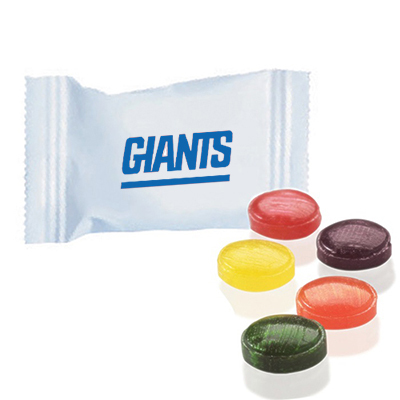 "These candy packs are inexpensive yet great at grabbing the customer's attention! " The perfect giveaway at trade shows!